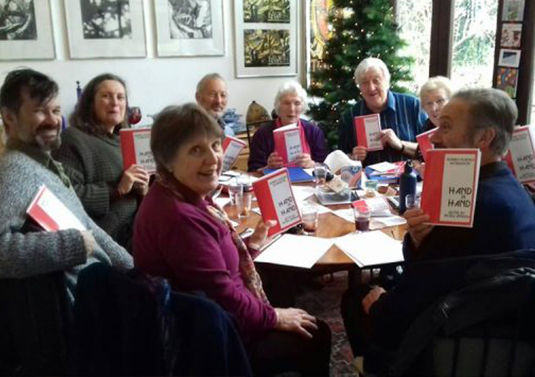 The well-attended book launch of Hand in Hand, an anthology by the Nunney Poetry Workshop edited by Moira Andrew, took place at Hunting Raven Bookshop on Cheap Street in Frome on Wednesday 10 April 2019 at 7pm. This also featured Moira's new book Geese and Daughters. There are photos of this event on the blog. "The teacher in me is always keen to share my love of poetry with others, so over several years I have organised poetry workshops for both adults and children. Now I concentrate on those for adults, having recently run poetry projects for Lapidus and for Poetry Space in Cornwall." "I also set up a workshop in a café in Falmouth where we used to meet once a month. We drank coffee, read, listened to and wrote poetry. (Two of my then-students have since had their own poetry collections published)." "When I moved to Frome four years ago I set up a poetry workshop in our home in Nunney. We meet on the second Wednesday morning of each month, sit round the dining room table, paper, poetry books and pens to hand. We are friends now, laugh together, listen to poetry – our own and that of other, mainly contemporary poets. We share silence and stillness when the poems touch our hearts and finger our emotions." 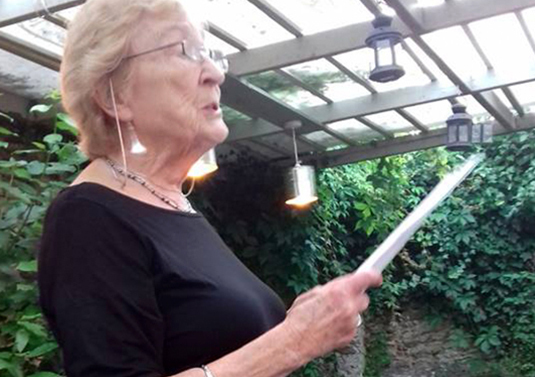 "Our monthly Nunney Poetry Group has been running successfully for over three years. It has grown from the initial core of 6 or 7, and there is now a waiting list to join. We published our first mini-anthology, Hand in Hand, before Christmas 2018." "Moira has the incredible ability to hold the space lightly whilst bringing out the inner poet in each of us. Every session is a challenging, creative process with much joy and laughter. Equally there have been cathartic and tearful moments. Our tears and laughter can be deeply therapeutic, and both have led to some truly beautiful poetry." 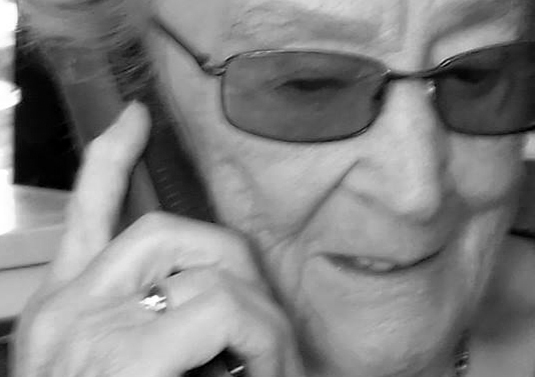 "I have fond memories of climbing the stairs at the deli in Bell Court, clutching a mug of black coffee then settling down on a window seat and watching Moira up-end her bag of ‘prompts’ onto the table. Pebbles, perhaps feathers, chiffon scarves or photographs and many more. Then we would each read from the anthology of poems Moira had prepared related to that month’s prompt." "Thus inspired, we would set to and create our own poems and read them aloud to each other. I have attended many other poetry workshops but none have ever been as welcoming, non-elitist and encouraging as those run by my dear friend, Moira Andrew and I greatly envy the poets in Nunney who now have this born teacher as their mentor." Moira Andrew coaches and mentors poets and children's authors worldwide by telephone, email and online video conference. A seasoned poet and children's author with almost a hundred published works to her name, Moira's practical advice and great listening skills are sure to enhance your own writing in no time.